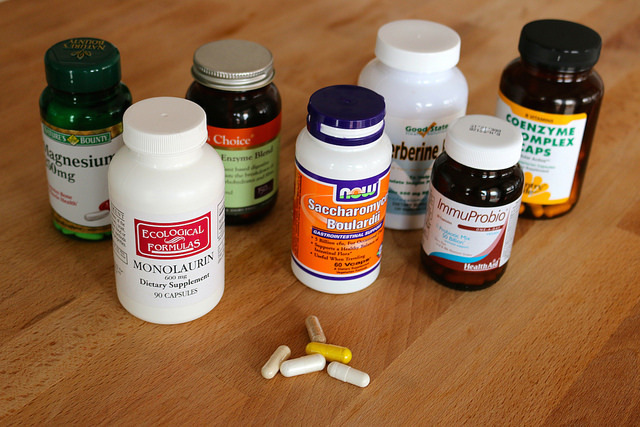 Probiotics contain healthy bacteria that works by competing with harmful bacteria in your gut. They work by filling your gut with healthy bacteria that can fight off the harmful ones. This gives your immune system a boost when dealing with pathogens that cause diseases. Organic yoghurt contains lots of probiotics that will keep you healthy. If you feel like you aren’t getting enough, you can add probiotic supplements to your diets. They are available in both powder and capsule form. Many people add the powdered supplement to their organic shakes and juices.